Just because you have missing pieces in your fencing or perhaps it’s broken in places, it might not be as badly damaged as you imagine and it can be repaired. Or maybe insects have taken a toll and bit on it and now it’s no longer protection or safe to keep your pets from escaping around the neighborhood. Charlotte Fence Installation & Repair can provide you with high quality repairs that will make your fence look new again so they can do what they were intended, protect your property and give you privacy. Some fences require more care and maintenance than others but you have the confidence in knowing that whatever style fencing you own, our fence contractors can assist you. Wood fencing is an attractive material for fencing and has a way of looking timeless on your property, but it can experience wear and tear over time. Weather treated wood fences can still need repairs, too. Rain, the beating sun as well as soon and other types of weather can cause the wood to deteriorate and if not treated or properly maintained you will find your wood is rotting. Charlotte Fence Installation & Repair provide affordable and effective repairs to wood fencing for the spread of wood rot before it has a chance to spread throughout your entire fencing, which can cause you to replace the entire fencing. You may need fence repairs and think you should do them right when they happen. Sometimes it might be better to plan for seasonal repairs so that if you have plants and flowers that are blooming in different times, they will be damaged in the process of fence repair. Perhaps you have an amazing landscape and your fencing is damaged, there are some months that may be better to repair your fencing. Or when your trees are in full bloom it may prove easier to time fence repairs when there are less leaves. Whatever the scenario Charlotte Fence Installation & Repair can provide you with an inspection to help you determine the most appropriate times to repair your fencing. When you have broken fencing in need of repair around your home, it can be a real eyesore and affect the beauty of your home and maybe even the market value of your property. 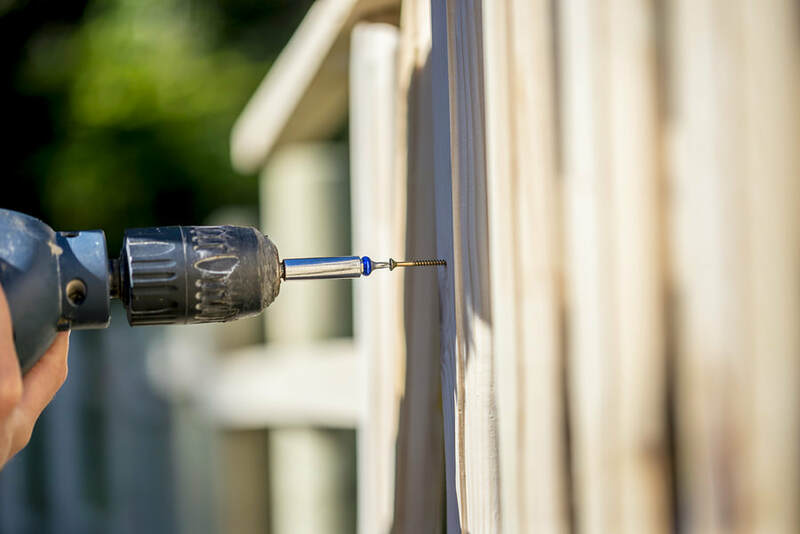 Fencing that has chipped and discolored paint, broken slats, wood rot and missing chain links isn’t the best statement your home can make from the curb and these are issues that could very well affect the resale potential of your home. When it comes to home buyers and market value, looks really do matter and your fence repairs should be a part of planning for your home improvement to increase the value of your home.